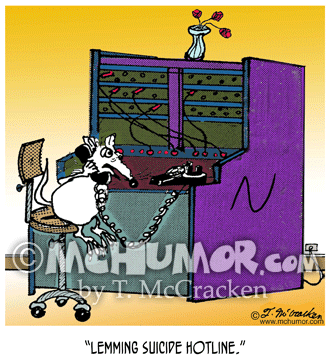 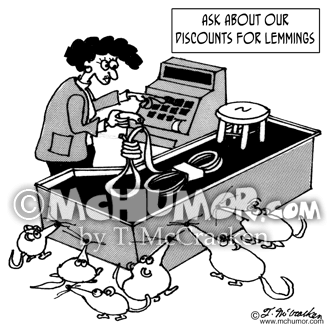 Psychology Cartoon 3064: Lemmings buying hanging rope in a store with a sign, "Ask About Our Discounts for Lemmings." 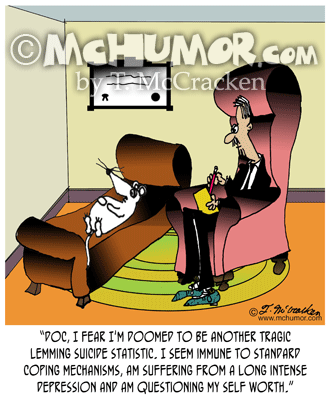 Psychology Cartoon 3062: A lemming on a psychiatrist's couch saying, "Doc, fear I'm doomed to be another tragic lemming suicide statistic. 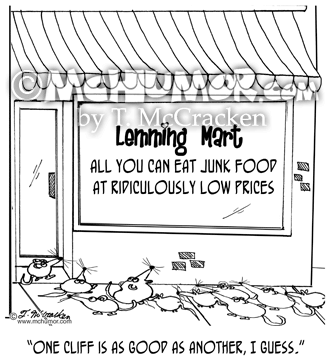 I seem immune to standard coping mechanisms, am suffering from a long intense depression, and am questioning my self worth." 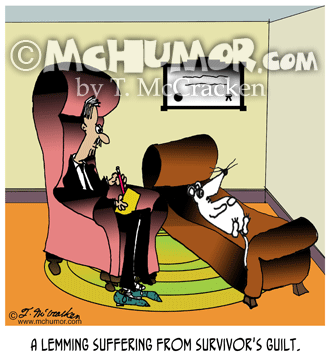 Lemming Cartoon 8622: "A lemming suffering from survivor's guilt." 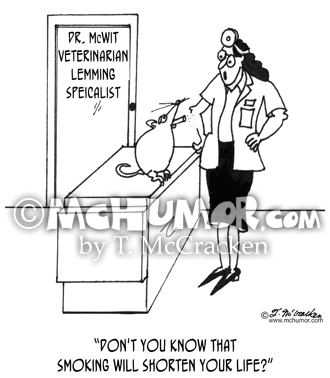 A lemming on a psychiatric couch. 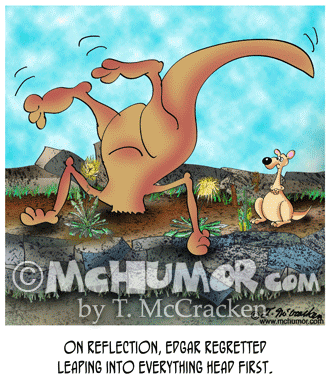 Kangaroo Cartoon 8810: “On reflection, Edgar regretted leaping into everything head first.” A kangaroo is buried head first with legs flailing in the air. 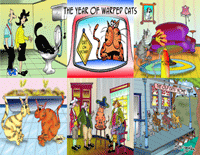 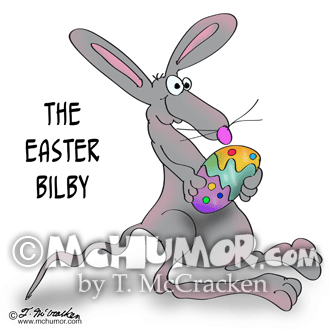 Bilby Cartoon 8952: The Easter Bilby.